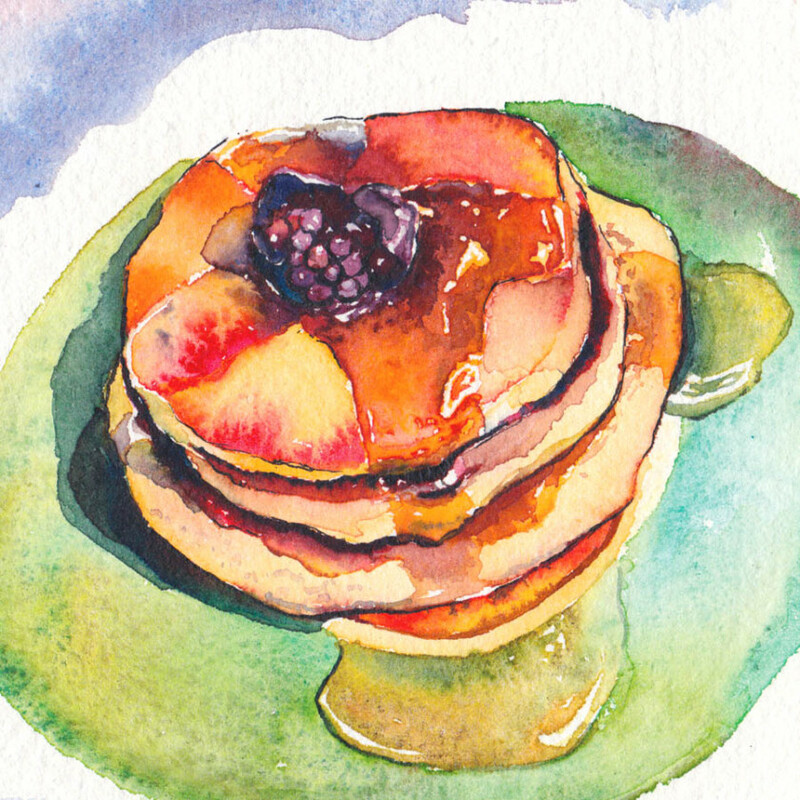 This art print is a portrait of blackberry pancakes in the morning–fresh off the griddle! ©Amy DeCaussin 2013. All Rights Reserved. © 2019 ©Amy DeCaussin 2015. All Rights Reserved.